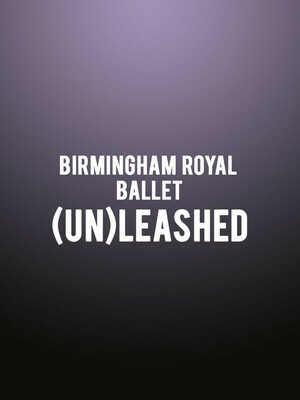 Why See Birmingham Royal Ballet - (Un)leashed? Triumphantly returning after the critical acclaim of entralling one-act ballet Arcadia, the Birmingham Royal Ballet presents a stunning triptych of groundbreaking works at London's Sadlers Wells this summer. The hotly anticipated program kicks off with Peter and the Wolf, a brand new work devised and choreographed by the company's first artist Ruth Brill that shakes up Prokofiev's original score with street and hip hop influences. This is followed by a brand new Ballet Now commission piece by Dutch choreographer Didy Veldman, also set to the music of Prokofiev, and American choreographer Jessica Lang's whimsical Lyric Pieces. Created for the BRB in 2012, the Julliard School Graduate's ballet features interactive, larger-than-life set pieces that consort with exuberant dancers and the lush music of Grieg. Sound good to you? Share this page on social media and let your friends know about Birmingham Royal Ballet - (Un)leashed at Sadlers Wells Theatre. Please note: The term Sadlers Wells Theatre and/or Birmingham Royal Ballet - (Un)leashed as well as all associated graphics, logos, and/or other trademarks, tradenames or copyrights are the property of the Sadlers Wells Theatre and/or Birmingham Royal Ballet - (Un)leashed and are used herein for factual descriptive purposes only. We are in no way associated with or authorized by the Sadlers Wells Theatre and/or Birmingham Royal Ballet - (Un)leashed and neither that entity nor any of its affiliates have licensed or endorsed us to sell tickets, goods and or services in conjunction with their events.